Control your phone through your calendar! Calendar Commander is a powerful application capable of controlling your phone according to events on your Google Calendar. Pretend for a moment that during your meeting at work, your phone could automatically turn to silent, disable WIFI, and dim your screen. Then, afterwards, it could change it all back automatically! That would be pretty cool, wouldn't it? Calendar Commander can do that and much more! Calendar Commander is currently in Alpha, meaning that there may be bugs present and not all features are yet implemented. It is currently undergoing rapid development, and is expected to release soon. Calendar Commander has a heavy focus on a clean, modern looking user interface to guide you through the powerful options that it offers. Calendar Events: Choose a calendar and set a Filter Word that will be used to search for matching events. Time Control: Select the hours and days of the week you want your settings to be applied on. Finally, Tasker Integration! 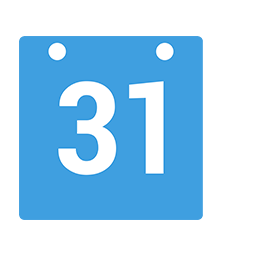 * Based on any of your profiles, Calendar Commander can automatically fire Tasker Tasks, making Calendar Commander's utility nearly endless!